Dr. Christine Cesca is a reputed pathologist in Concord; California. She graduated in 1999, from Virginia Commonwealth University, Medical School. She is practicing medicine for more than 15 years, as specialist in pathology, being certified by American Board of Pathology. 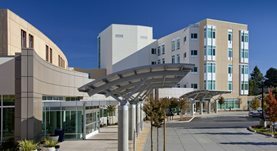 Dr. Cesca is affiliated to John Muir Medical Center, in Concord California and is a member of Contra Costa Pathology Associates, from 2006. Dr. Christine Cesca has contributed to 3 publications. Recurrent melanotic neuroectodermal tumor of infancy. Shaia, W.T., Dinardo, L.J., Underhill, T.E., Cesca, C.E. ; Am J Otolaryngol. 2002-07-01. Cesca, C., Ben-Ezra, J., Riley, R. S.; Am J Clin Pathol. 2001 Apr. Clinicopathologic features and treatment outcomes in Woringer-Kolopp disease. Lee, J., Viakhireva, N., Cesca, C., Lee, P., Kohler, S., Hoppe, R. T., Kim, Y. H.; J Am Acad Dermatol. 2008 Oct.